All kinds of myths and rumors circulate during elections. Don’t be discouraged; a scary story may be aimed at making you think voting is too difficult to do. As an independent watchdog group, Democracy North Carolina receives all kinds of reports on our hotline at 888-OUR-VOTE. We encourage voters to review the candidates at www.ncvotered.org and call the hotline if you have any problems as you vote. 1. You don’t lose your right to vote if you have an outstanding traffic ticket, warrant, bankruptcy or fine. No elections official will ask you about these. 2. You may take a list of your choices inside the polling place, but do not show the list to others or leave it. Using a camera or cell phone is prohibited inside the poll. 3. You may wear a button or shirt with a candidate’s name when you vote, but don’t actively draw attention to it. 4. 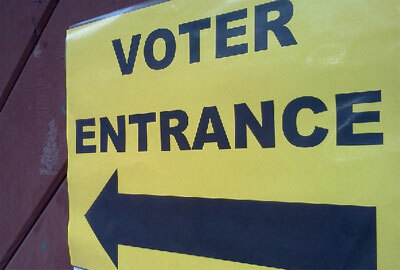 In 2014, officials will ask if you have a photo ID, but you don’t need to show one or even answer the question to vote. However, new voters in a county may need to show an ID if the driver’s license or Social Security number they listed on their registration form could not be verified. In that case, they would need to show a photo ID or one of these with their name and current address: a utility bill, bank or bank-card statement, payroll stub, or any government document (license, bill, letter, etc.). 5. You can check your registration, see a sample ballot, and find your polling place at www.demnc.co/myreg; enter your first and last name or use the wildcard (*) and partial spelling of your name. 6. It’s too late to register to vote in the primary as a new voter in a county; the deadline was April 11. Register by October 10 to participate in November’s election. 7. If you’ve moved within your county, the easiest way to update a registration (and vote) is during Early Voting. If you wait until Election Day, you may be sent to a different precinct to vote – or you may use a provisional ballot to avoid the extra travel. You may also update changes to your name when you vote. 8. In the primary, you choose nominees for the general election. You must vote the ballot of your party. An Unaffiliated vote may choose which party’s ballot to cast – Democrat, Republican or Libertarian. 9. Don’t forget the non-partisan races, for example, for judges. They are often toward the end of the ballot. Look on both sides of the ballot. 10. People convicted of a felony in any state may register and vote in NC after serving their full sentence, including probation. No document certifying the restoration of their citizenship rights is needed. Just register like anyone else. 12. On Election Day, vote at your precinct’s polling place, based on where you lived on April 6. Out-of-precinct voting is not allowed except in rare cases. 14. A voter with a disability may get assistance from anyone of their choice, except their employer or union agent. Family members may help any voter. Bob Hall is executive director of Democracy North Carolina, a non-partisan voting rights group. For more about voting, see www.NCElectionConnection.com/a> or for questions, call the hotline at 888-OUR-VOTE (888-687-8683) or the State Board of Elections at 866-522-4723.